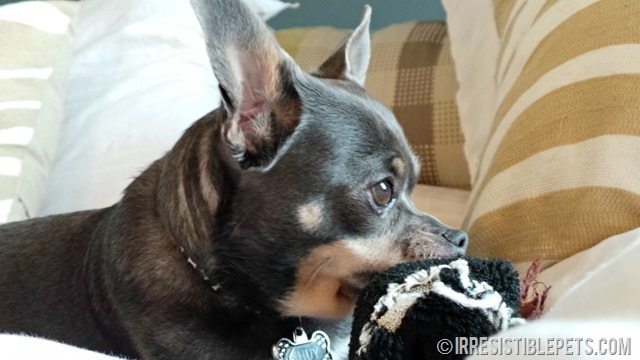 Chuy, my Chihuahua suffers from occasional flare ups from IVDD or Intervertebral Disc Disease. We built him a custom dog ramp to use to get on and off of our bed . . . since yes, that’s his bed too lol. I’ve had many requests to write a blog post about how to train your small dog to use a ramp. 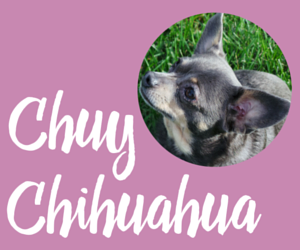 I’ve pulled together the tips that I used with Chuy that you might find helpful. Is the ramp too steep? Does the ramp need side rails? Is the ramp wide enough? Some dogs will start using the ramp on their own. 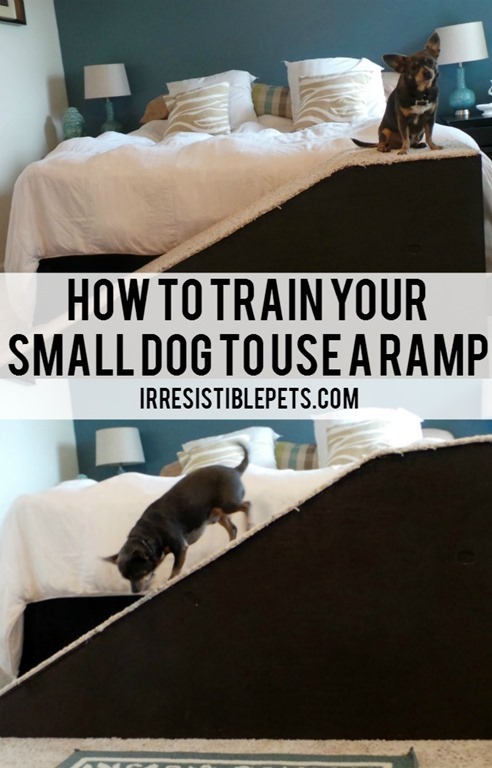 The majority of dogs will need some training and coaxing to get comfortable with their new ramp. Set it and forget it. Seriously. Set the ramp up where you plan on using it. Then just go about your business without making it a big deal. Your dog is going to be naturally curious about this new piece of furniture. Don’t pressure or force your dog to use the ramp. I sat our ramp next to the bed and let Chuy sniff it out and discover it on his own. Trust me, he’s a super nosy curious dog. 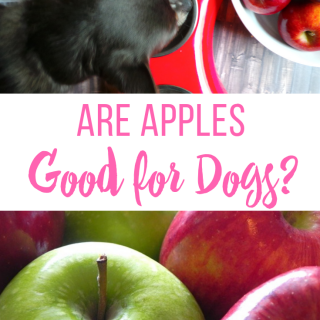 It’s important for your dog to do a little investigating on their own. Do NOT place your dog on the ramp! You WILL freak them out! That makes an already scary new piece of furniture terrifying. 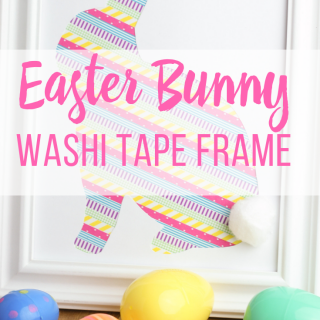 You want them to explore and figure things out at their own pace . . . with a little bit of coaxing. Once I felt like Chuy was ready to start climbing up the ramp, I used treats to associate the ramp with a happy place. Take your time with this. Chuy learned in about a day but that may not be the case for your dog and that’s ok! Just be patient! I started by placing Chuy’s favorite treats a few inches up the ramp. As he got more comfortable, I would move the treats further up the ramp. Eventually, he made it to the top! Once he got to the top and looked around, I noticed he was a little nervous. It’s important (especially if the ramp doesn’t have guard rails) to stand next to the ramp so your dog feels safe and secure. Plus, you’ll be right there in case they decide to try and jump down! 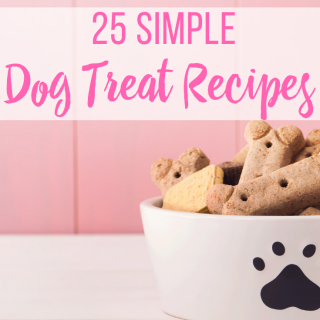 Repeat the same process with the treats to teach your dog to walk down the ramp. 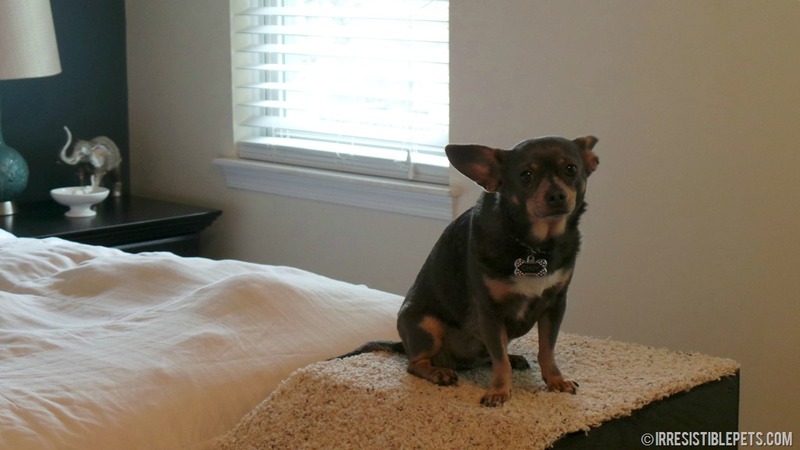 Bonus Tip: Chuy tried to “cheat” while walking up the ramp by jumping on the bed before he got all the way up to the top. 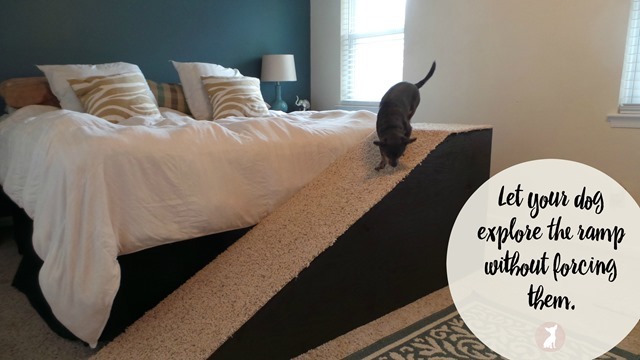 To prevent this from becoming a habit, block all of the areas (with pillows) such as the edge of the bed so that they have to walk the entire length of the ramp. Every dog learns at their own pace. 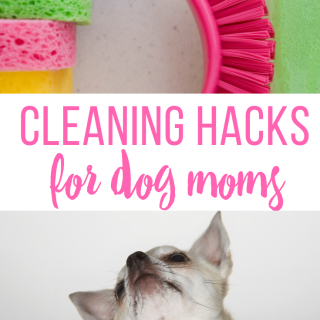 This is a huge change for your pet. Be patient with the process and keep practicing with them. 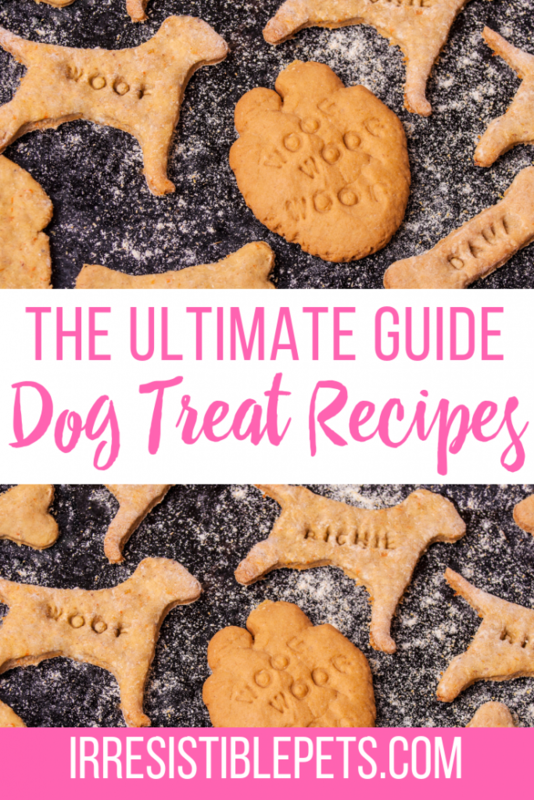 Let your dog know everything is ok. Please let me know how it goes (or if you have any questions) by leaving a comment down below! Subscribe to our email newsletter so you never miss another blog post! You can also keep up with us on Facebook and Instagram. I’m new to owning a dog. 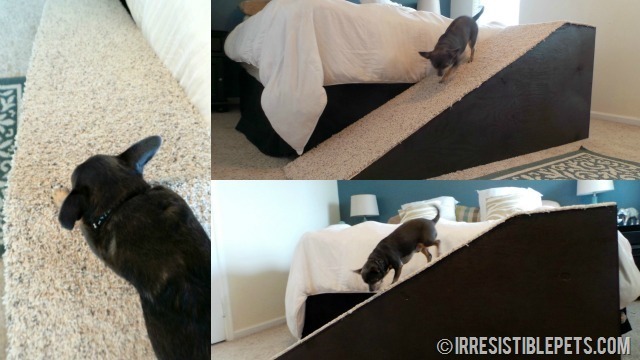 Do you use the ramp so chuy walks up the ramp instead of jumping on the bed? Do you still keep the ramp next to your bed? 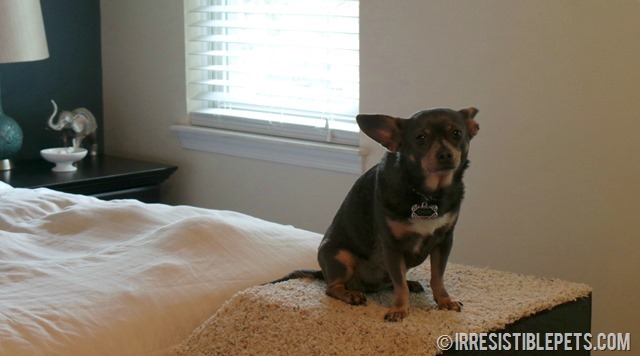 Yes, the ramp is so that Chuy can get on our bed as that’s where he sleeps at night. It always stays at the foot of our bed. Do you recommend anything if tbe ramp is a little steep? My dog can’t go down the stairs anymore. He can go up fine, but has trouble with his back legs. My dad built a ramp over our stairs to our back door but its a little steep. 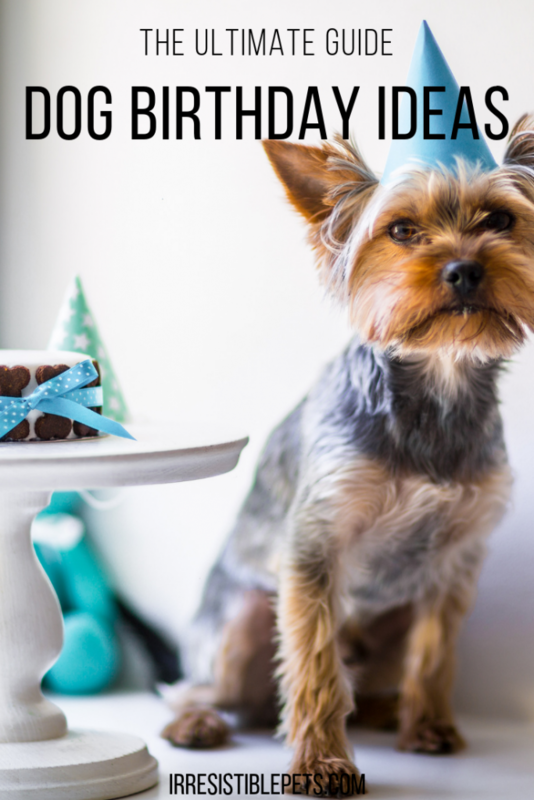 Ive tried bribing with treats and stuff but it just wont work. I dont know what else to try?? If it’s steep that is probably the problem. You may need a less steep ramp or to carry him down. Depending on your setup. I would try lengthening the ramp so that it isn’t as steep. IP, thank you for the very nice, detailed instructions for building the doggie ramp AND these great training instructions for them to use it! 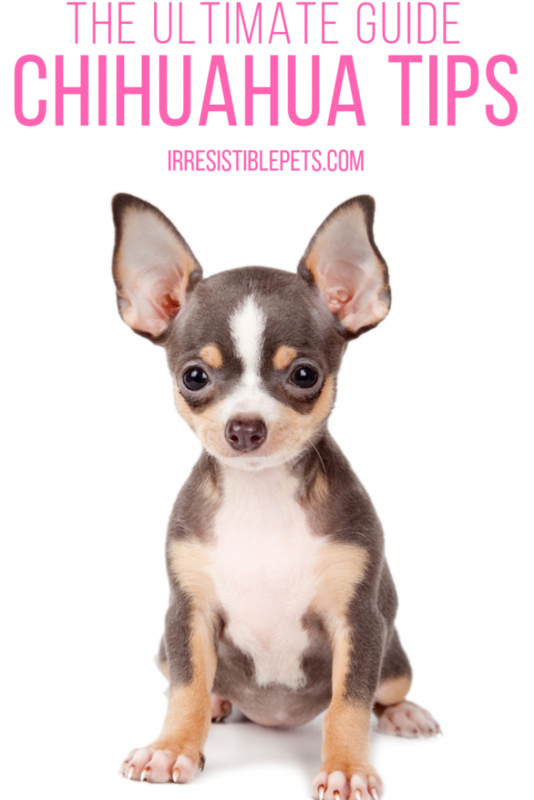 As much as I love my Chihuahua, I have ZERO instinct about training, so I really appreciate your details! P.S. Chuy is so handsome! What a little cutie!!!! !